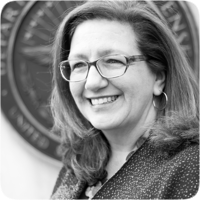 The Sterling Historical, Heritage and Preservation Committee (SHHPC) Presents the second of our lecture series taking place on Wednesday, February 21, 2018, 6:30 PM – 9:00 PM at the Sterling Library, located at the Safeway Plaza off Sterling Blvd. Join Donna Bohanon, Richard Nokes and Rev. Gregory Spurlock as they weave us through this exiting tale about the history of Eastern Loudoun County focusing on African American’s beginning just after the Civil War through the 21st century. 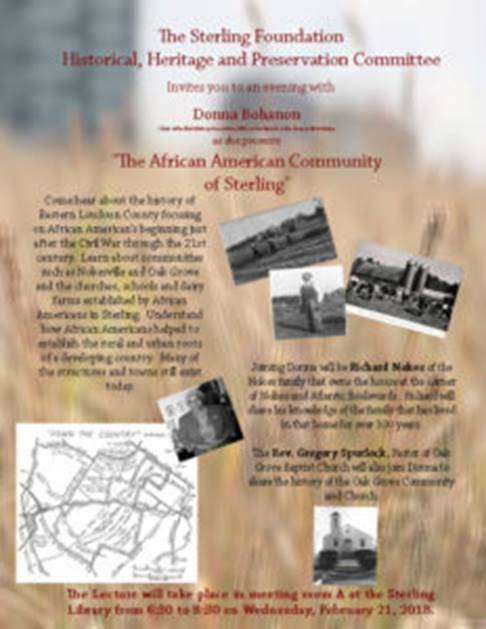 Learn about communities such as Nokesville and Oak Grove and the churches, schools and dairy farms established by African Americans in Sterling. Understand how African Americans helped to establish the rural and urban roots of a developing country. Many of the structures and towns still exist today.